Supplements are dietary supplements that make sure that you have a higher supply of certain nutrients. Supplements are mainly found when it comes to fitness and sports. It is important to say, that supplements that can be bought in shops, are not drugs or anabolic drugs. Supplemente make sure that you have a higher supply of certain nutrients. They can be found in various forms most can be bought as a powder for shakes (whey protein, casein protein etc. ), capsules or bars. Every supplement will make sure, that your body gets the extra nutrients quick and in higher concentration. Can these nutrients also be taken in through the daily diet? The answer is yes and no. Most of the important nutrients are taken up with a healthy and balanced diet by your body. But it is a lot easier with supplements. Anyone of you who does a lot of sports knows that it is time consuming. An example: If your body needs around 30g of slow protein in the evening, you need to eat around 250g of lowfat quark. But this will give you 10g carbohydrates. Lowfat quark is not very tasty if you eat it pure, so you will add some other foods to it and that way take up extra carbohydrates. A 40g casein shake (same effect than lowfat quark) gives you 30g of proteins and only has 4,8g of carbohydrates. Extra: the casein shake is done in 2 minutes and in your body within another 3 minutes. To sum up that means that supplements help you save time. But keep inmind, that dietary supplements are really just supplements, that means “additional” to a healthy and balanced diet. 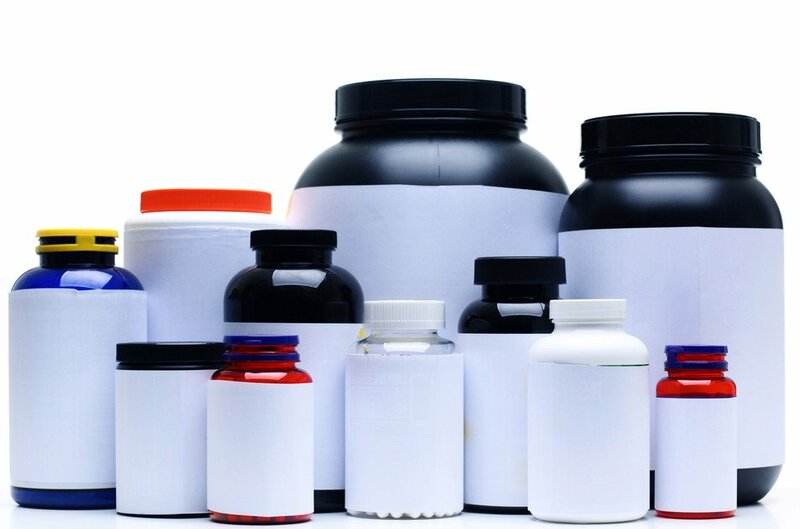 If you have occupied yourself with the whole process of buildingmuscles or you have trained in a fitness studio before you will have probably heard of “supplements” before. No, they are not absolutely necessary, but they help. You will have ahigher intake of nutrients that your body needs when you want to build muscles. It is possible to take care of all the extra nutrients when working out but it is good to save time and money. powder. Whey is a protein, that supplies your body very quickly with the supplements needed. Whey is optimal to be taken after workout, for example as a shake. That is when your body needs it the most. Another common protein powder is casein protein. It is the complete opposite of whey protein, because it does not dissolve that easy and clumps together in your stomach. The advantage here is that casein protein gets digested a lot slower and your muscle growth is well supplied longer. Casein protein is optimal to be taken before going to bed, so your body has resources to draw from the whole night.